One of the surprising benefits of stepping up the intensity of my training is that I get to eat a lot more! That being said, my choices are a lot healthier. I find I get hungry quite frequently and I pack a lot of healthy snacks to keep me going throughout the day. Unfortunately my work office isn’t close to a grocery store (if you don’t drive to work like myself) and I really have to plan my snacks. It’s quite a lifestyle change but I really enjoy eating healthy and clean. 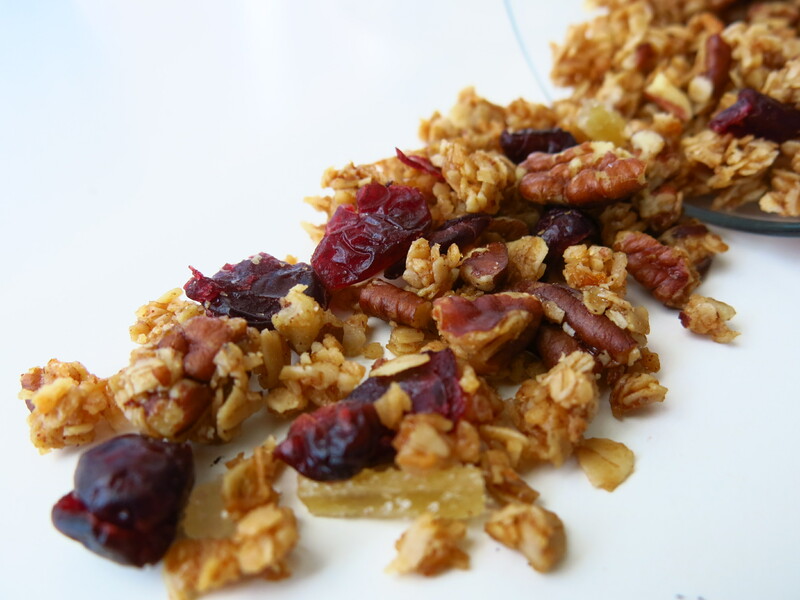 I want to share with you a recipe for the granola I’m eating right now. I alternate between granola and thawed frozen berries in my yogurt and having just finished the last of my Trader Joe’s granola, I needed a new cheap alternative. 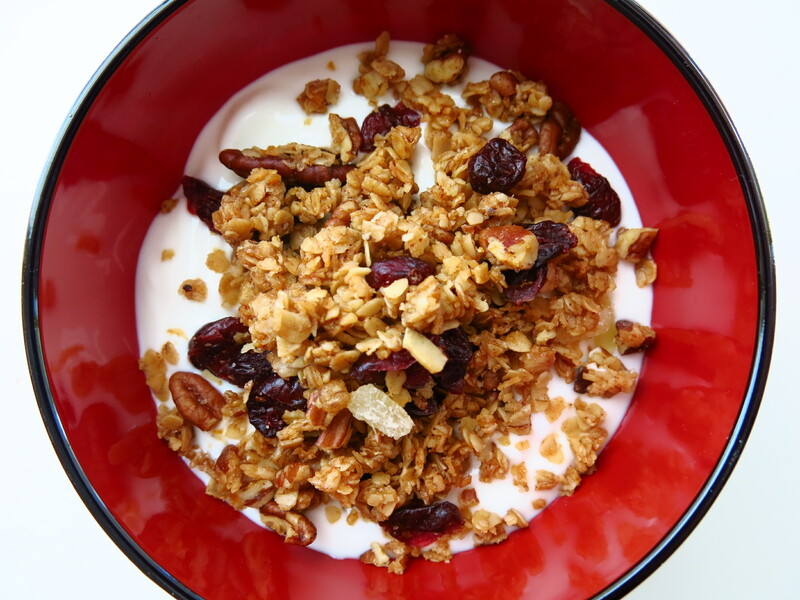 I mean, how can you top $2.99 for a box of granola? Amazing – but with 1/2 cup of butter, honey and sugar – it’s not exactly low fat. But it’s perfect to sprinkle (in moderation) on plain yogurt. My only modification was the inclusion of about 1/4 cup of chopped crystallized ginger. Oh – and I forgot about the pumpkin seeds. Go easy on the orange zest too.